Approximately 2400 TMO graduates work in the fashion industry in various capacities. We train our students for commercial management positions in fashion. We have a high success rate: around 90% of our graduates works as a professional in the industry. Our focused approach is closely aligned with professional practice and provides our students with a running start in the jobmarket, helping them secure a suitable position. 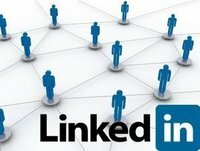 Connecting with alumni is easy through our LinkedIn alumni group. Here, you will also find the latest TMO news and stay updated on recent developments. Even after completing your studies, you can use the TMO alumni group to contribute toward our educational program.